Charming 3 bed, 2 full bath home in the quaint town of Sibley! Old home charm with the necessary updates makes this home one to see. 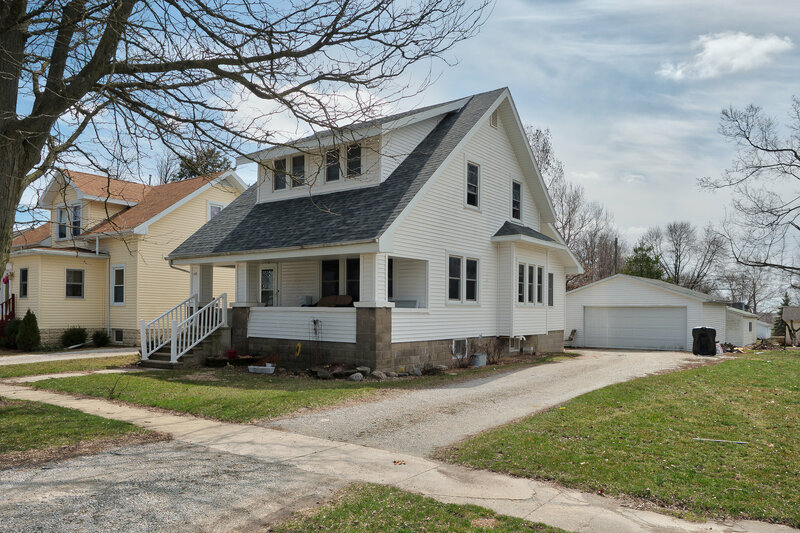 It’s sitting on THREE lots on a corner in town, has a cute covered front porch (perfect for coffee in the morning or watching over the yard), and a detached 2-car garage. You’ll love the eat-in kitchen with stainless steel appliances and beautiful updated cabinets. Take your pick between the two first floor living spaces! Third living space also in the basement!